I’ve been asked this question a lot here on Muddy Colors, and I guess it’s about time I finally got around to it. One of the reasons it’s taken me so long to do a post about photographing my work, is because photographing a piece is the very last phase of a commission. Which means when I do it, I’m usually strung out, on my 40th hour of being awake, trying my hardest to make a deadline, and just don’t have the time (or stamina) to snap pictures of my setup. Which is shame, because it is arguable the most important part of a commission. Getting a good photograph of your work is absolutely essential to the reproduction process, and deserves just as much consideration as any phase of an illustration assignment. After all, it doesn’t matter how beautiful the original art is, the Art Director is not going to be impressed if the cover it was commissioned for looks bad. Secondly, it’s more convenient for my Publisher, who would otherwise have to send the art out to be scanned and lose at least a day in the process. Sometimes a day is really important when you’re working against a deadline. Even if I hand deliver an original, I still bring a scan of the image as a courtesy. 1. Scanners tend to be quite small, and I don’t want to stitch together 20 scans to get a single image. And now the Set up…. The easiest way to do this is with strobes and bounce umbrellas. Bounce umbrellas not only reflect the light backwards, but they soften and spread it in the process. Soft light is very important. If the light is too direct, some areas of the painting will be brighter than others creating ‘hot spots’ or washed out colors. A soft light also helps to avoid harsh shadows and highlights. The advantage of the strobes is a much brighter and much whiter light. Having a lot of light is important if you want a lot of detail, and the whiter light makes color balancing your image a lot easier. The strobes also have an adjustable intensity, which the continuous light do not. Lastly, strobes do not put out as much heat as the continuous lights. Continuous lights are commonly referred to as ‘hot lights’, and for a very good reason. It may not seem like a big deal, but trust me, after 40 minutes under a 650 watt bulb, your model WILL be sweating. So what if you can’t afford either set-up? I photograph my paintings upright, at a 90º angle. To either side of my painting, is one of my strobes. 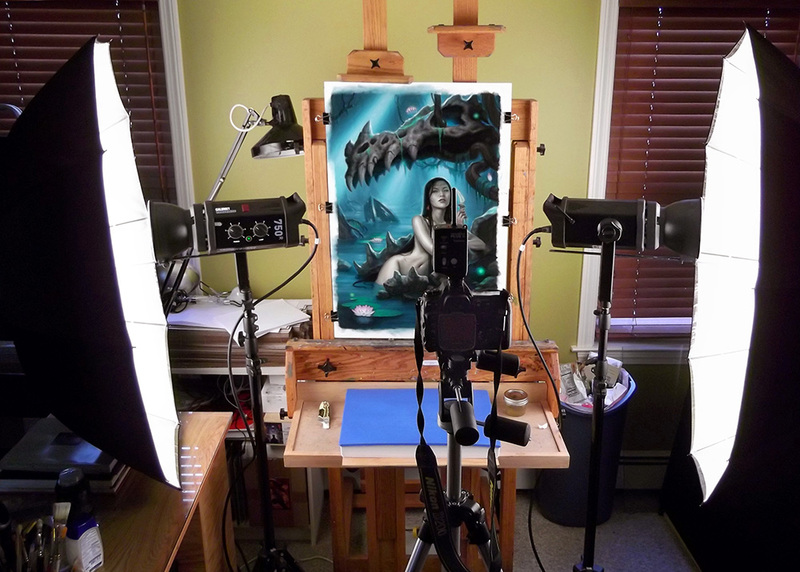 I aim the strobes AWAY from the painting, and let the umbrellas bounce the light BACK toward the painting at roughly a 160º angle. This is called a ‘raking’ light. This angle is extremely important! 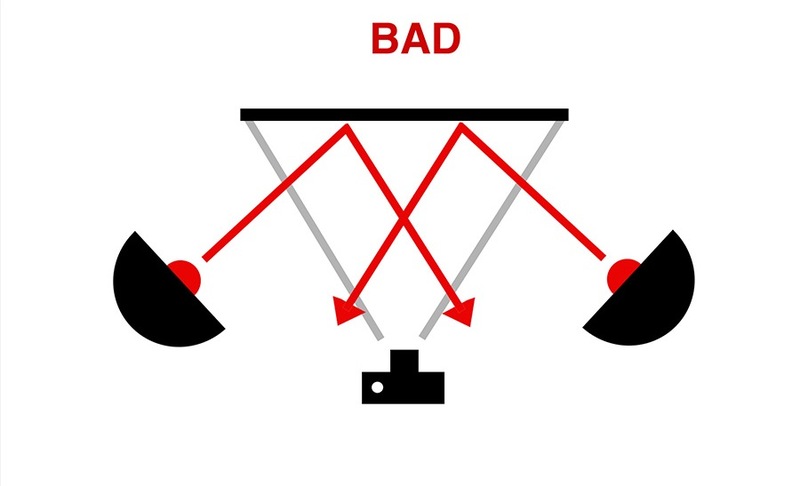 If you place your lights in such a manner that the light strikes the painting at an acute angle (less than 90º), the light will bounce off the painting, and back into the camera lens… causing glare. Glare, is quite literally a reflection of the light source on your painting’s surface. The more acute this angle is, the worse the glare will be. An on camera flash would result in the absolute worst glare possible, since it is striking the surface at an angle of 0º degrees. Many people assume that narrowing your aperture to F/22 will always give you the crispest shot. This is not true. Any adjustable zoom lens has a ‘sweet spot’, a perfect combination of aperture and zoom where the light is most focused. (Think of it like sun through a magnifying glass). This sweet spot is usually somewhere in the middle of a lens’ zoom/aperture range. To find it, you need to experiment. Always shoot in RAW format if possible. Check your camera’s settings, and try to find the highest quality/compression possible. Many high end cameras offer a RAW format option. RAW format does very little compressing, and allows you to alter your exposure/color settings after you shoot the image. Always shoot at the lowest ISO possible (Sometimes called ASA). I typically shoot at 100 ISO. If you go above 400, you are likely going to get a lot of noise in the dark areas. It’s better to have a really slow shutter speed than to try to bump up the ISO. White balance is imperative! Look at your lightbulbs, and find out the exact color rating. The closer to 5000K (or above), the better. Anything less than 3000K, and your image is going to be too yellow. Yes, your camera will correct for it, but in doing so will lose the difference between subtle whites and yellows. Once you know the temperature rating of your bulbs, set your camera to that exact white balance. On my camera, I can set it in 100K increments. Your camera may only have ‘custom’ option. In this case, you will need to photograph a ‘grey card‘, in order to accurately calibrate your camera. Now my camera is by no means ‘top of line’. I shoot with a slightly outdated, 10 megapixel, Nikon D200. 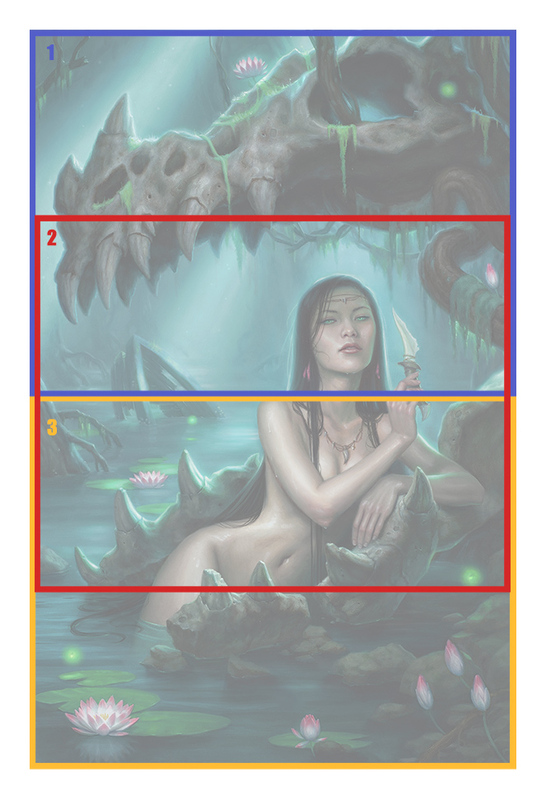 The image this gives me isn’t huge, but it is certainly large enough for a 6×9 inch book cover at 300 dpi. However, I’m worried about more than just the book cover. Once I am content with the exposure/color balance, I splice the images together. Photoshop actually has a really nifty Photomerge tool just for this sort of thing. Go to: (File > Automate > Photomerge). 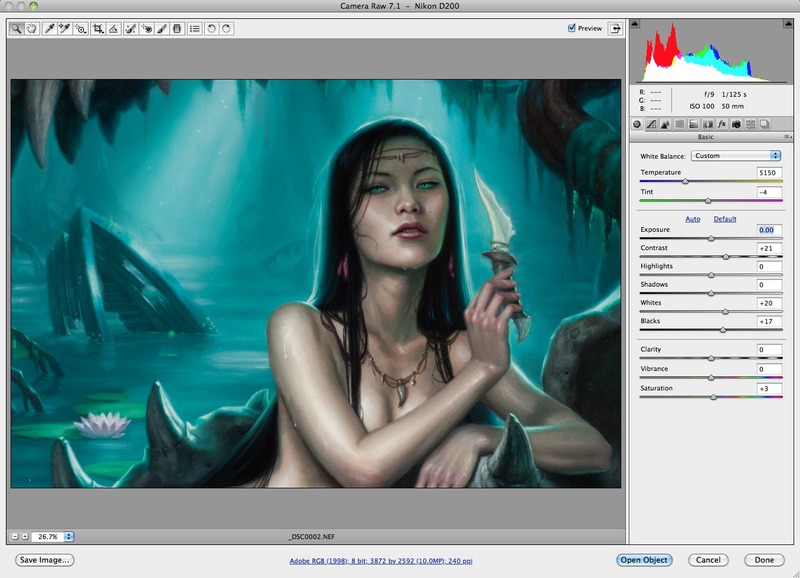 If I still see some color imbalances, I usually remedy it using the ‘color balance’ tool, or ‘selective color’ tool. 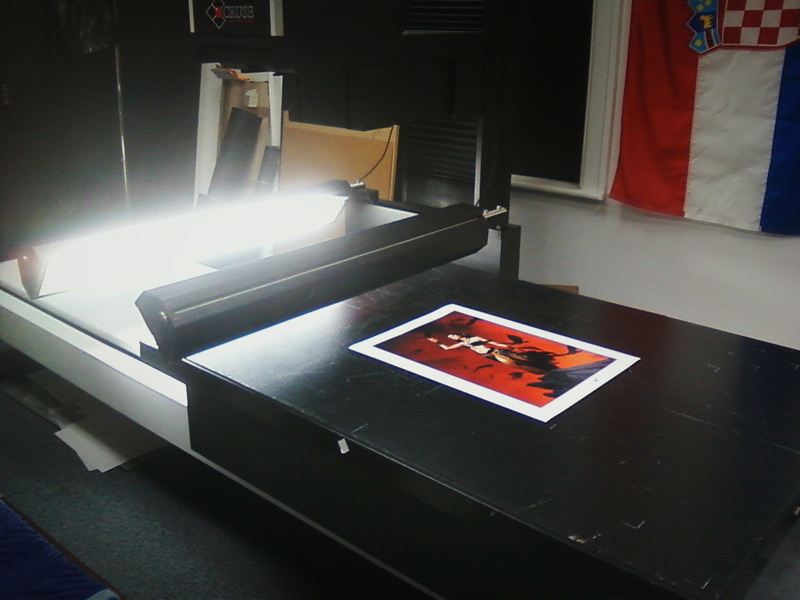 The final result is a file that is about 20 inches tall at 300 dpi… more than enough for most professional applications! I tend to keep this original file for my own personal records. I usually give my Art Director a slightly smaller file, roughly 11×17 (300 dpi), which is still more than enough for any of their needs. As lengthy as this article is, I’m certain there are still some aspects of my process that I overlooked. If you have any questions, please ask away in the comments section. I may not get to them for a few days (as I am traveling at the moment), but I will answer all questions as soon as I get back! Thank you SO much for taking the time to write about this. I've been wondering how to get high quality photos of my paintings for quite awhile. I think your technique will be very helpful. Thank you very much for this write-up, Dan! I recently completed a large (for me -2'x3') acrylic abstract (NOT my usual fare) and this will definitely come in handy, though I tend to work significantly smaller. Thank you for this excellent article – very helpful and informative. It's great to see a setup that is actually in regular professional use. I've been meaning to invest in a basic setup for photographing art (scanning pictures in pieces is getting pretty old,) this will help enormously in figuring out what equipment to get. Fantastic post Dan. Thanks so much for sharing. Very in-depth! I've been waiting for this post since you hinted at it a while back, well worth the wait. Thanks for sharing! 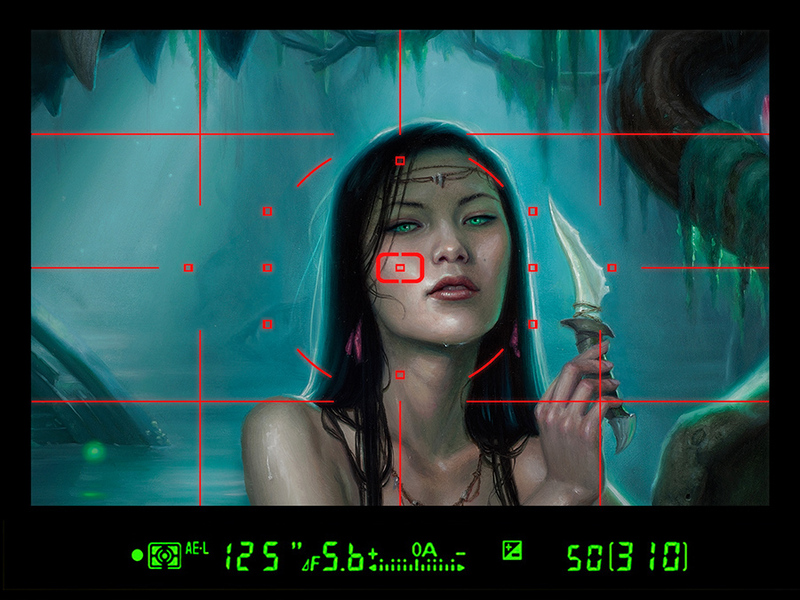 Have you ever run into issues with paralaxing or “fisheye” distortion when stitching the final piece together? Many artists share framed images of their work. Would they use a rig similar to that you have described? Should all paintings (particularly gauche and watercolor) be removed from their frames (and glass) to be photographed? Great post, thanks for the tutorial. One question though, do you use Silver or White umbrellas? I think they serve different purposes and I'm wondering which one's the best for taking pictures of artwork. Fantastic! Thank you so much for taking the time to write this out. I never would have thought to photograph different parts of a large painting, and them digitally stitch them together. SMART! Thanks again! Wow, Thanks. I am actually finishing up a commission right now and would love to have a nice copy for my own display purposes. This was so helpful. Great Post. Have been looking into some details about this for some time. Thanks for taking time to cover it. Nice post… I have searched the web and bookmarked many pages on photographing art and each always seems to say “THIS IS HOW”. Yet there are so many variables! Yours is refreshing for a change. That is really important to know. I work very similar so this will help a great deal, thanks. Its also good to know that many pro photographers use what works for them the MAJORITY of the time instead of a 'custom' shoot for each. How do you avoid a parallax view or how do you set up and check it so the painting and the camera are both exactly parallel to each other? Thanks for a great post again, this sure will come in handy! It's great to learn about things that are necessary in working as a professional (aside from the obviously crucial arty stuff). P.S. On a related note, I have a humble suggestion for a future post for you Muddies. I think some earlier posts on MC on the subject of portfolios and websites are pure gold, but I'd like to know what one should put in a portfolio. I understand that one should fill the portfolio with the kind of stuff one wants to work on. BUT if I wanted to do, say, book covers, should I do mock covers for existing books (and if so, classics or contemporary writers) or covers for imaginary titles? I used to. But using a Prime Lens virtually eliminates that problem. If you don't have a prime lens, just let PS's photomerge take tare of it. I always remove them from the frames. Not only does glass cause glare and framing cause shadows, but personally, I have never been a fan of including the frame in the image. I just don't like the way it looks. With the exception of sculptural frames (Like Mark Ryden), I just don't think it's necessary, and actually detracts a bit. Silver umbrellas reflect a higher amount of the light .White umbrellas let some light through. Because I make use of the bounce, I prefer silver… however, some people shoot THROUGH the white umbrellas (like a filter), creating a 'soft box' type of effect. Both methods work well. Many umbrellas actually have have removable layers, so you can have both silver and white. My camera has a grid on the screen that I can turn on an off. This helps a LOT. Still, I usually make use a level to ensure everything is perfectly parallel. Both are good. Personally I prefer to see very little 'classics'( and never want to see them with type on them). By putting fake covers in your portfolio, it's just as good as saying 'Hey, I've never done a professional job before'. If the cover is an original concept, with no type, the AD has no idea if it was professional or not… the quality will instead solely dictate his/her opinion. Great info here, thank you very much. Can you (or one of the other Muddy Colors experts) possibly do a future post on shooting reference photos as well. I tend to run into problems of consistent lighting and POV. How are strobe lights controlled with your camera? is there a cable that connect them to fire off at the same time? Thanks for sharing, I love the painting by the way? Which paint did you use? Acrylics? Excellent post, Dan. Good, artist-specific info. I am fascinated that you can achieve such consistently fantastic results from printers without including color separation cards or grey cards in your shots. To achieve such excellent color results, you must be relying on your Photoshop color profile settings. another really outstanding post/article. I would think this would also be a good reference if one DIDN'T have all the equipment, but had a professional photographer that was willing to work with an artist outside of their “defaults” to get the best results. Would love to see a post sometime on computer monitor calibration – as I imagine that doing color corrections and other digital work would make proper calibration imperative. Thanks again! Thankyou, thankyou, thankyou, thankyou! This canges everything, I have had such trouble with this, thankyou! As others have said…Thankyou, Thankyou, Excellent, Excellent….Wonderfully well presented…For an article it is very succinct! 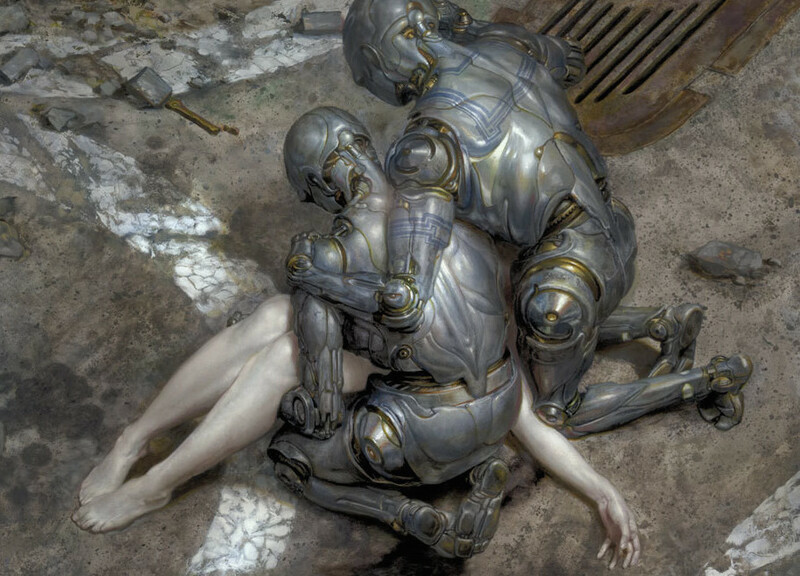 Another excellent article by Dan dos Santos! Thank you! I've struggled with this a lot. Another invaluable and necessary tool is a pocket fold open colour checker…as ALL digital sensors are different…and white balance check is oh so unreliable from one camera to the next. Lights technically change from one use, turning on and off…they diminish in colour output minuetely …the degree kelvin is inconsistent. However a colour checker..and its accompanying software can colour set and correct a batch of photos taken at the same time with the same light. This can be registered in Photoshop…and make adjustment much better. It is also important to set the colour for the type of production presentation that the painting will be seen….images on a computer versus printed, versus other. Just a few tips to make this EXCELLENT posting that much better. Cheers. I hope that I can give some critical advice as a professional in this field. First, the barrel distortion seen in wide-angle lenses is always prevalent, regardless if the lens is a prime (non-zoom) or not, and sometimes even if it's a 50mm. The right lens can eliminate it to almost nonexistent, though. I'll come to that soon. The point with a 50mm focal length is that with film cameras (with 135 film), it used to be their 'normal lens', it gave the perspective humans have naturally, so it felt the most natural to shoot with. In digital SLR's, the sensor has dimished in size from the 135 film frame. This means that in reality your 50mm zooms in a bit more; 50 x 1.5 = 75mm. 1.5 comes from the 'crop factor', which is individual for almost every brand. 1.5 is for the D200, but otherwise you need to google up your own to get this. It's not actually critical to know this, but you now know that in reality you could use a 28mm lens as well. Now to the meat; this handy widget at DPreview.com will display the distortions of colour and geometry of an individual lens. 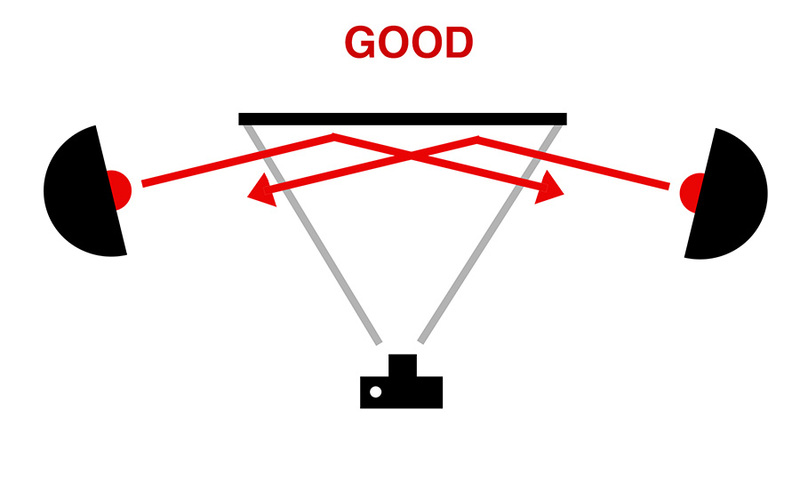 When finding the correct camera and lens in the list, the diagram will display the amount of distortions depending on the focal length and aperture. This is important about what you said of the aperture; it is indeed not f22, most often the optimal point is f4 or f8. The point has been calibrated according to the perceived function of the lens, so you best do not go and guess. It could be anything. The diagram shows one half of a picture face-on, like on the finder or screen of the camera. Blue is sharp, magenta is blurry, and you can see how they diminish toward the edges. Through menus, you can see the spherical distortion by a grid. This is will help you determine what focal length or prime lens is the best for a distortionless image. can you answer my question about how the strobe/flash lights work? Do they hook up to the camera somehow? or do they have sensors? or they react to the camera's built in flash? Both, George. Most strobes can be set to 'Slave' mode, which means they will go off when they detect another flash nearby. However, you do not want to use the on-camera flash to initiate that, because the on-camera flash will give you glare. Instead, I use a radio transmitter. This transmitter triggers one of the two strobes, and the second one goes off automatically. If your strobe doesn't have a radio sensor, you need to use a 'sync cord', which manually triggers the strobe. Thanks so much for the info. 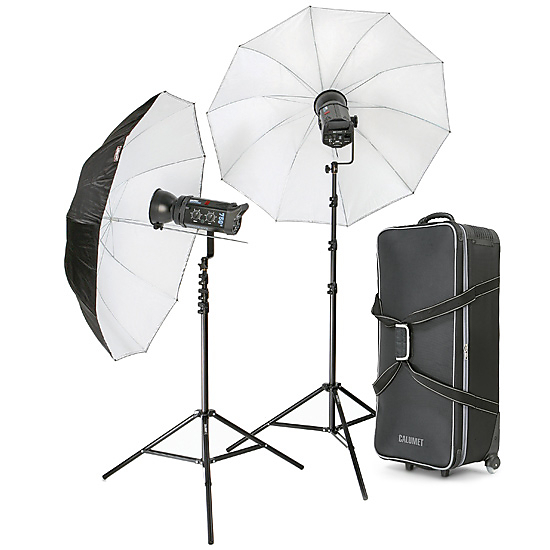 I just ordered the continuous light kit. I'm sure it will serve my needs quite well. Thanks again! I always have used polarizing filters on the lights and lens, but I am going to try your method and see how it works on my stuff- I always have had problems with glare that only polarizing seems to eliminate. Having the softer lights at a shallow angle may work, if it does it will be great, as the polarizers are a major hassle. Thanks for provide different types of reproduction are better suited to different types of paintings. thank you very much for this post. I was so much looking forward to it. It helped a lot when I recently captured my oil paintings. Now I'm really happy with the photographs of my paintings. Thanks a lot! Shot my painting tonight with the low budget option you provided. Although I did have to put a third dispersed additional light since the foam core did not reflect as much light as I though it would. It was just a tiny bit dark in the middle of it. I'll probably look into purchasing those umbrellas one day. But overall it does the job well. Thanks for the info. I'm happy to hear that, Andrea! You'll find that once you have the basics down, you'll perfect the process over time. The shots I get today are much better than the ones I took a few years ago, even with the same equipment. Yes, I guess I should have noted that if your painting is really large, 4 bulbs might not cut it. If your painting is smaller than 18×24, I would think it would have been adequate. Did you curve the foamcore to help control the bounce? The foamcore I got is pretty rigid so I can't curve it, unfortunately. To make up for the dark spot in the middle I shined the third light off my low white ceiling. Not ideal, but it worked. That + a slight tweaking in lightroom made it come out great. Either way, it's much better than how I've been shooting before, heh. Inandoutpaint.com is a painting contract of professional painting contractors in hyderabad. In & Out Painting Solutions is a painting company providing crack filling, texture work, residential interior and exterior home painting services in hyderabadPainting Contractors Hyderabad. Hey there. I am looking for a company that does image reproduction in Calgary. I was hoping you could point me in the direction of one. Please let me know what you can do, thanks. 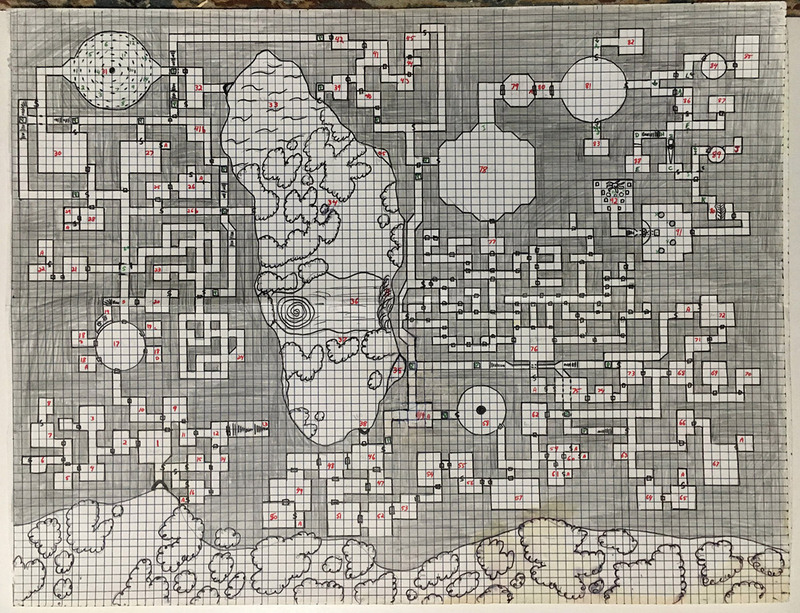 I can't thank you enough for taking the time to post this, along with links and diagrams. 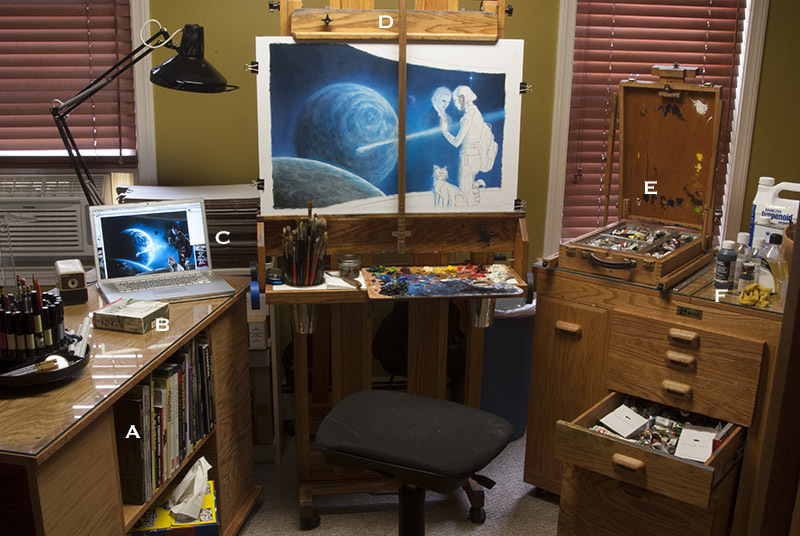 I am setting up something similar for my own paintings and your level of insight is inspiring. Cheers to you! You didn't mention positioning your camera so it is vertically centered with your canvas. This gives you a rectangular image of artwork. And since you take 3 shots to get the canvas, shouldn't you move your camera vertically each time so it is centered on the part you are shooting???? Do you use a card like WhiBal when you shoot to adjust, then copy to each shot? I assume you the settings of the camera so that every shot is the same so you use the same adjustments per image before you put them together. Eventually, the moment a'girl'plus I just have been investigating diverse museums and galleries you took place to be able to find your girlfriend preferred must-see within native gallery. Once we respected plus spoken of any copy, I had created to indicate the forest for the reason that the best area of “most popular artists painters “.Not necessarily till your lady explore the terms plus requested'The reason anyone should add of which straight to the forest?' would your lady get started with to set the whole works together. Wow, that looks amazing. I've been getting into interior painting here in Olympia, WA, and I really like the colors you used here. That black fox color is fantastic, I'll definitely have to remember that one. Good job. Raz Moussa is best wedding videographer Dubai. If you are looking for best Dubai photographer and Dubai Photography studio then we are ready to help. Best wedding videographer and photographer would make your event successful. Plankaro has come…! with Professional Photographers in Hyderabad We make you recall all those sweet memories with our beautiful photography..! DOCCS services include various premier aesthetics such as laser fat loss, massage therapy and botox.This revolutionary method provides results without the dangers associated with surgery. He is showing the technique of how to get the great hd image with digital lens and i think he know the best technique can work or may be not but result are there. Wow, they are absolutely gorgeous. 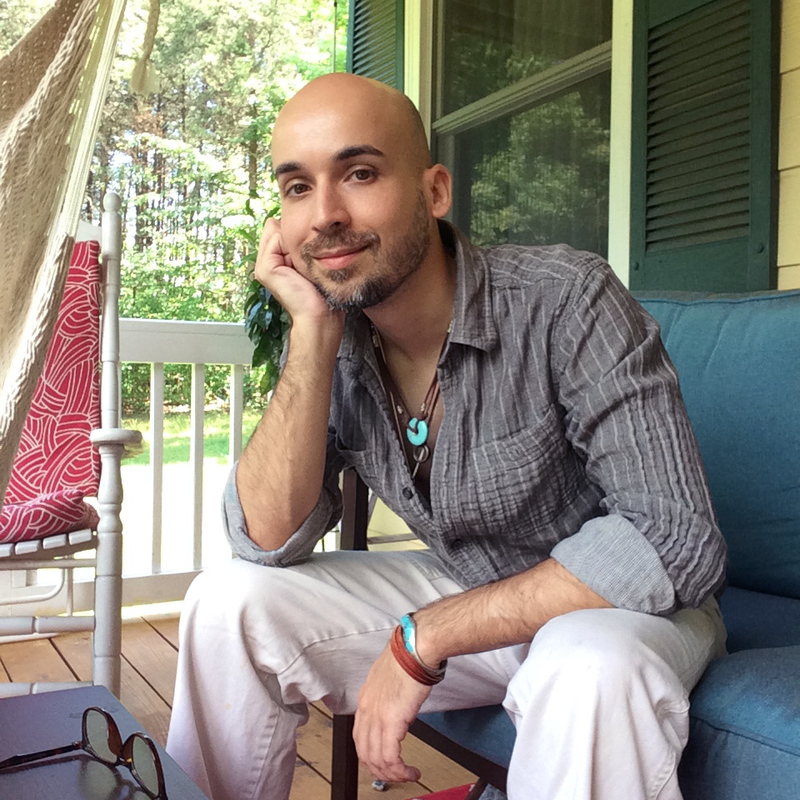 Thanks so much, Dan – I keep coming back to this post and getting more out of it! I was finally able to purchase a pair of 600 watts/sec strobes, but I keep running into bits of glare with them, especially in the darks (especially if there's any texture to the paint). Could you offer any advice on how to deal with this? I've got the lights at a shallow angle, and am using reflective umbrellas. Great photography, thank you for your post. Excellent article with impressive content. These are some really solid tips on both general photography and for taking pictures of a painting. When I take a picture of a landscape I also use the rule of thirds and divide the scene into different sections. I think this really helps draw the eyes to certain lines and creates a more aesthetic picture. The subject of buy rifle scope online dubai is a controversial issue. I really, really like buy rifle scope online dubai. While it is becoming a hot topic for debate, it is important to remember that ‘what goes up must come down.’ The juxtapositioning of buy rifle scope online dubai with fundamental economic, social and political strategic conflict draws criticism from the aristocracy, trapped by their infamous history. Complex though it is I shall now attempt to provide anexaustive report on buy rifle scope online dubai and its numerous 'industries'. I will come back . Be flexible with vediography and design please contact :- The photography classes best of things all associated with photography is step cases which will follow up with theoretical as well as photography tutorials practical classes. Making them and getting them on board may have been the best thing in the work as based on any photography tips work. Here is all that can be changed and give to parts. Here are many which follow in wedding photography the article. Very informative and really helpful blog, need your photo as canvas painting contact picpainting and make your painting at very affordable price. The school of photography new generation photography classes are helping all individual get equipped on the art and carry it landscape photography out at ease. There are all new things with the intention of can help them to photography tutorials complete the work as per the directives. The role of the work has been all necessarily to make it get the new generation systems photography classes on behalf of use. Thanks for the range of tips. Amazing article about the reproduction of different types of paintings. You can get some beautiful paintings at Indian Art Ideas, an online art gallery. Excellent article from 2012. Very little has changed (well – technology has but the techniques haven't). Thank you very much. Someone mentioned circular polarizing filters. It is worth mentioning these. If you can manage without than it is better. No filter on lens is always preferable. Sometimes though you have no choice. Yesterday I shot reproductions of original (very expensive) paintings of famous artists, and there was no way they would be taken out of their glass frames. The glass proved a big challenge with reflections. My circular polarizer filter was an absolute must. Sometimes you have to shoot such a picture at an angle, to minimize reflections. You then have to adjust perspective using software like Photoshop (unless you have a tilt camera lens or back, which I don't). This is not a good thing as you will have a lot of work to do and you lose sharpness. But with glass, it is sometimes almost impossible not to. Okay…that is a great article and fabulous..
Nice graphical post regarding photography painting. Really informative, great thanks for sharing these tips regarding photography. This will be very helpful for the photographers. I really feel very comfortable because of your way of explaining every detail, I can ask whatever it is because you make us feel that even if we do not know what a professional knows, we can achieve incredible results. Without a doubt my favorite Blog. Thanks for posting this, Dan. I have referenced it on many occasions.